I am a school supply fetishist, and I am not ashamed. Sometimes, when I’m having a really bad day, I go to the school supply section in Walmart and inhale deeply. I might have kids someday just so I can spend time in that aisle every September. The scent of paper, all the pens and pencils in neat plastic packaging, highlighters in every color… it’s all so soothing. Rory Gilmore’s rationale for getting three highlighters. 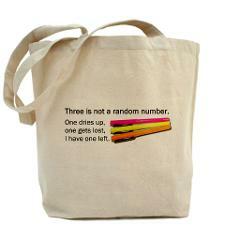 Quote from Gilmore Girls, tote made by CafePress. You know what my favorite thing is, though? Planners. Datebooks. Portable calendars with pages dedicated to entire months and other pages with big boxes for writing down daily details. They offer more than just the smell of productivity and learning: they promise order, structure, relaxation brought on by knowing exactly what to expect from every week ahead. I’m practically swooning now just thinking about it. You’ve probably guessed that I kinda can’t function without some kind of advance outline. Spontaneity isn’t my strong suit, but I know exactly where I will be at three p.m. this Friday, when my next paper is due, and what I’m going to tell the next person who asks when I’m free. (Saturday morning, after breakfast, if you need to know.) Proper scheduling can help keep you from overloading your life, losing track of time, or worse, double-booking. Here’s how to get started—you’ll be sniffing Rolodexes in no time. What is not sucking? Not sucking is defined in the world of planning one’s time as making sure one has enough hours a week to complete assignments and fulfill commitments, while leaving a little time for fun and decompression. Do some math. I know, I know, it’s painful, but I promise it’s simple. First, figure out exactly how much time you have in a week to do everything you need to do: seven days times twenty-four hours each day equals 168 hours. Okay, now schedule in some time for sleeping. I know it’s not exactly productive, but if you deprive yourself of sleep you’re just going to be miserable all the time, and that will RUIN YOUR LIFE. The whole thing. So, minimum eight hours of sleep a night times seven nights is 56 hours of sleep, and that leaves 112 waking hours every week. That looks great, right? So much time! But wait, we’re not done. If you’re in your twenties, you’re probably involved in some kind of work or school. If you’re in college classes, take the number of credit hours in your current course load and multiply it by three, to allow for enough study time for every class. For example, I’m taking 15 credit hours this semester, so if I’m studying the proper amount those classes will take up 45 hours of my waking time. I’m also working part-time, so that takes up another 15 to 20 hours (we’ll call it 17 just for the sake of argument). Take out some time for transportation to wherever you’re going. My commute to work is about half an hour each way, and sometimes finding parking on campus takes up to 45 minutes. All told, transportation to and from work and school takes up about 6 hours of my time every week. After all of that, I have 44 hours every week for personal care, food prep and consumption and… well, fun. You might have more or less time depending on your commitments—I know a lot of people who take classes but don’t work, or who work and don’t take classes. Look at the final number. If, after all that math, your number is really big, you might want to consider adopting some new activities. Figure out exactly what you’re doing with your day, whether it’s watching Netflix or ending world hunger, and evaluate it. Do you want to do more? Are you not giving yourself enough credit—are you actually doing important stuff that I didn’t list as part of the equation? 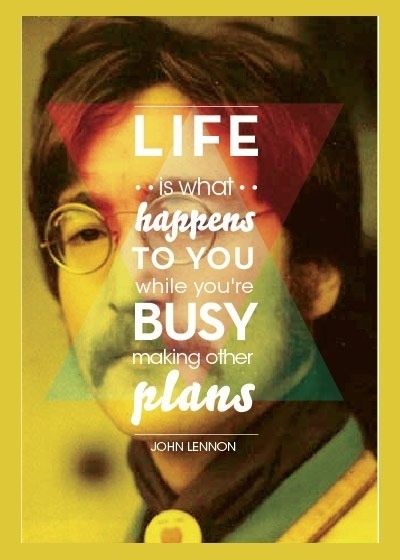 Are you happy living life without a bunch of stuff on your schedule? If so, awesome. If not, change something. If your number is really small—or zero, or negative—you need to cut back on something. Make a list of all the commitments you have and figure out what you can and should eliminate. You should probably stay in school, if you’re in it, and if your job is your only source of income you should stay at that too, but if you’re dividing your remaining time between twenty different committees, clubs and organizations, you need to prioritize. Stay involved in your favorite activities, and start saying no to the others. Resist the urge to fill up every slot. High school taught me that time doing nothing structured or “purposeful” was time wasted. Résumé fillers, career enhancers, noble acts of service that will set you apart from the crowd: those are all necessary, right? ANNNNNH. Wrong. (That was my poor imitation of a Jeopardy buzzer.) Humans need rest. We need play. We need time alone, time with friends, time with family, time to feel free to pursue whatever our hearts desire. Every moment of your life doesn’t need to be scheduled. You’ll be okay if you don’t save the world today—or even ever. Promise. I’d be happy to schedule your life for you, readers. If you need help with the math above, or if you want someone to come fondle Sharpies with you in an Office Depot, come talk to me on Facebook or Twitter.